Who knew that individually-wrapped processed cheese slices came directly from cows? Apparently they do. 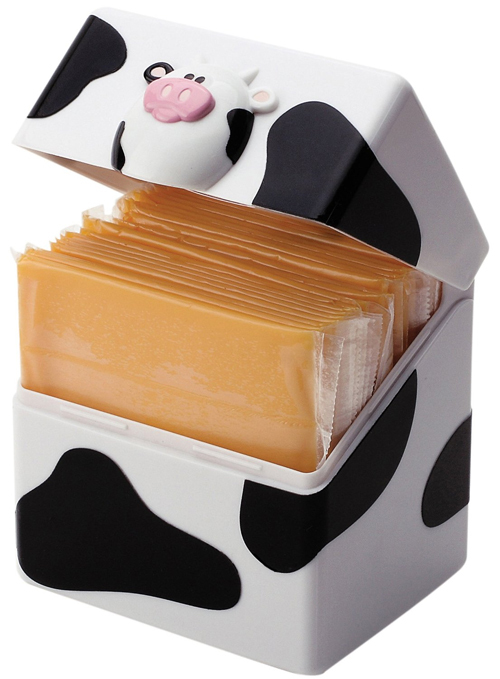 At least if the cow in question is the Joie Moo-Moo Cheese Slice Holder Pod . As for which came first? Well, that’s just one of the great mysteries going on inside of the refrigerator.